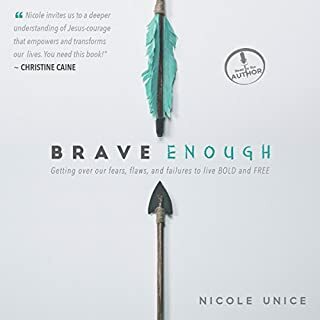 In Brave Enough, popular author Nicole Unice challenges you to get real about the places where you feel too scared to change, too tired to endure, or too worried to move on. Through personal stories and biblical application, Nicole will lead you on a journey beyond worry and into the life God has planned for you - one that's beautiful, full, and free. I've been trying to find a audiobook like this for a long time. I love it and will keep listening to it over and over again..